THIS IS RUNNING A LITTLE SLOW MAY NEED A SERVICE. 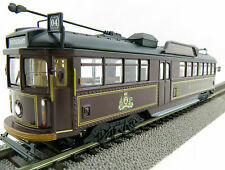 Marklin HO ERA III rail bus. The set is in excellent/very good condition with no marks or scratches. I have tested the set and it runs well. LIMA TRAINS HO SCALE BB9291 OVERHEAD ELECTRIC. LOCOMOTIVE & CARRIAGE UNTESTED. LOOKS LIKE CONNECTORS ON TOP ARE SLIGHTLY BENT AND RUSTED. SEE PICS FOR OVERALL CONDITION. Each model was constructed in. it is being sold unpainted and in brass as shown in the photographs. It runs very nicely. Japan from solid brass, probably around the early 1960’s. Others are unpainted and given their age the brass maybe tarnished in places, but this is certainly not an insurmountable problem to resolve either. Each model was constructed in. Importantly, it runs beautifully. Japan from solid brass, probably around the early 1960’s. Others are unpainted and given their age the brass maybe tarnished in places, but this is certainly not an insurmountable problem to resolve either. This boxed beautifully crafted Sunset Models "Southern Pacific Locomotive by Samhongsa in South Korea is constructed in brass, The detail achieved is simply stunning. I promise you will not be disappointed if are seeking a locomotive of this type and choose to buy it. Here for sale is a BACHMANN HO scale Pennsylvania ALCO S2 DIESEL WITH DCC SOUND. This Locomotive is in very good condition has had very little use. This runs well. It is missing one buffer. Rivarossi Santa Fe 4-6-2. This loco is in very good condition, and appears to have hardly been run. It is the smoothest and quietest Rivarossi loco of this era I have encountered, suggesting it has probably spent most of it’s life on display. Even the two traction tyres are in good condition. I have given it a light service and test run. I had planned to weather this loco, but in view of it’s good condition decided to leave that choice to the buyer. (If you would like me to give it a weathering job please contact me and we will work something out) Condition is Used. Dispatched with Royal Mail 2nd Class. LILIPUT STEAM LOCO THIS MODEL IS FROM MY LATE FATHERS COLLECTION WHICH HAS BEEN CHECK AND TESTED BY A MODEL CLUB SERVICE ENGINEER HE HAS TESTED IN BOTH DIRECTIONS AND FOUND NO PROBLEMS HE AND OTHERS IN HIS CLUB SAID IT IS A GREAT LOCO THAT WORKS WELL, HOWEVER WE DO NOT KNOW IF THE LOCO IS DCC READY, THERE ARE INSTRUCTIONS AND A BAG OF BITS THAT NEED FIXING NOT FOR SMALL CHILDREN THOUGH, THE LIGHTS ARE NOT VERY BRIGHT. Item No.C8844. Pre-owned but locomotive as New - only taken out of box for photographing. Box worn at edges and is marked. Marklin HO ERA III locomotive. The loco is in very good condition with no marks or scratches. I have tested the loco and it runs well. Oskar SNCF Fret 75008 diesel locomotive. Lovely model in excellent condition. Comes boxed with bag of detail parts. Lovely runner. DCC ready. Thanks for looking. Bachmann F7 A Unit Diesel in Santa Fe livery with DCC sound model 64301in very good condition. This is latest version of Bachmann’s model of the classic F7 A Unit Diesel in colourful red and silver Santa Fe livery. Piko HO scale DR Epoch III Br23 2-6-2 / 1C1' loco & tender, DDR-era production. Loco is in good working order, including headlights. Loco has been professionally weathered to a medium-heavy finish. Loco is in original box. Happy to combine postage on multiple purchases, please wait for combined invoice after auction end. Made by Katsumi (KTM) in Japan around 1970 for importer Balboa. The model has been tested and runs very well in both directions. In fair condition in original box. It was supplied with hand rails that were to be applied by the owner. By Rivarossi Product no. 1254. 4-8-8-4 Class BIG BOY. Marklin HO ERA III small loco in excellent/very good condition with no marks or scratches. I have tested the set and it runs well. The loco has not been used for some time and has been stored in its own box. The box has small damages from handling or storage But there is an instruction manual. Please see the photos which form part of the description. Condition is Used Dispatched by tracked service and insured Will be packed securely for transit through the postal system. We will combine shipping to give you the best cost solution for multiple purposes. We post worldwide and if there is no cost shown for your destination please ask for a quote. Item Details: Bachmann Spectrum HO 82503 - USRA Heavy Mountain 4-8-2 Chesapeake & Ohio J2 543. Catalogue Number: 82503. 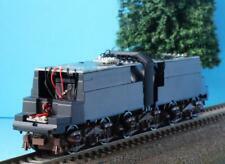 Make: Bachmann Spectrum. Running Number: 543. Other Information. Piko H0 scale DR Epoch III Br 55 3784 0-8-0 / D' Steam Locomotive & tender. DDR-era production. Loco is professionally weathered with a heavily weathered finish. Loco is a good runner and looks complete. Original packaging. TCS DCC FITTED. I have discribered the item(s) the best i can. Jouef Locomotive Train. 00 guage Condition is Used. Dispatched with Royal Mail 2nd Class. TESTED AND RUNNING MAY NEED A SERVICE. 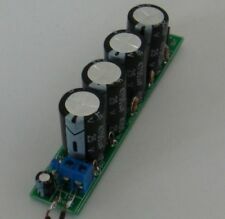 I have replaced the DCC decoder with a much better TCS T1 DCC decoder. Smooth operation not used - surplus to my needs. Broadway Limited Santa Fe 2-10-2, Weathered, Dcc Sound/dc Sound,. Comes with original box. Please study photos carefully as they form the main part of the description. Condition is Used. Dispatched with Royal Mail 2nd Class. Catalogue Number: 3443. Item details: Marklin 3442 DR BR243 Electric Locomotive 243 897-6 in deep red livery. Make: Marklin. : Analog - Marklin 3 Rail system. Livery: DR Deep Red. Running Number: 243 897-6. This finely detailed C-C locomotive is in the armour yellow and grey of the Union Pacific and bears the number 3571. make Supersized seem small. NMRA Standards-4.2 (Suitable for Wheel Code 88, 110, HO Scale 1:87). Scale: 1:87 ,Suitable for HO scale. Color: As the picture shows. 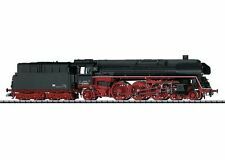 Liliput (Austria) H0 scale DR EpIII P8 BR38 4-6-0 Locomotive & tender in Deutsche Reichsbahn black, Pro-weathered to a medium finish. Locois a good runner (dc analogue) and is in original packaging (foam insert broken) Happy to combine postage on multiple purchases, please wait for combined invoice after auction end. Proto 2000 F3A & B Units Diesel loco Southern Pacific HO gauge DCC Sound . Condition is Used. Dispatched with Royal Mail 1st class signed for. This is from my own personal collection which I am thinning down and this does not fit into what I model. This loco runs well and the sounds on both units are really good and both units are powered and run well when coupled together. It has two headlights which work and the running board numbers light up aswelll. Also has two figures in the driving cab.is currently set to DCC address of 91. Please check all photo's as they form part of the description. Comes with all instructions. Will post to UK only. This model has been tested as working on my test layout and has working lights. Gützold DDR-era production H0 scale Br64 2-6-2 / 1C1 tank locomotive, DR Epoch III black, pro-weathered to a medium finish. Loco runs well (dc analogue) and headlights work. Loco is unboxed but will be securely packaged for shipping. Happy to combine postage on multiple purchases, please wait for combined invoice after auction end. Roco 79855 SNCF 26008 electric locomotive. Lovely model in excellent condition. Headlights don't work in either direction. Lovely runner. DCC ready. Thanks for looking. Mehano M9855 Semi streamlined Pacific. NEW YORK CENTRAL. #6515 MERCURY. Boxed. Excellent condition. Looks mint. Tested and runs fine. Headlight works irrespective of direction of travel. Back up light on tender only works when loco is backing up. Bachmann Spectrum HO gauge Doodlebug, Pennsylvania Brown DCC Kadees. Condition is Used. Dispatched with Royal Mail 1st Class. • Detachable caboose that hooks on. No. 119 was a 4-4-0 steam locomotive built by Rogers Locomotive and Machine Works of Paterson, New Jersey in 1868. Hand Crafted in iron with a scale of 1:24. A must have for the collector and enthusiast!